Keller Williams Realty, Inc. is the largest real estate franchise by agent count in the world, with 700 offices and 112,000 associates in more than a dozen countries around the world. 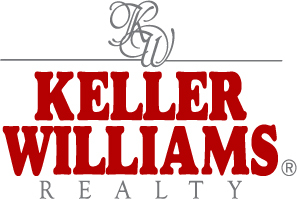 Keller Williams Realty has also been ranked as the No. 1 real estate franchise on the Franchise 500 list by Entrepreneur magazine. Recently, the company celebrated its 30th Anniversary and announced its rise to the top of the industry. In 2014, Keller Williams was named the No. 1 training organization in real estate and No. 2 training organization across all industries in the world by Training Magazine’s annual “Training 125” list. Founded in 1983 by Gary Keller and Joe Williams with the mission to build careers worth having, businesses worth owning and lives worth living® for its associates, Keller Williams Realty has been among the fastest growing real estate franchises in North America. In 1991, the company began franchising, and in 1998, opened its first international franchise in Canada. Despite market conditions, Keller Williams Realty has continued on a growth trajectory that has outpaced the industry and its competitors. Sean is a true pro. In the sea of unprofessional, unprepared, “half-baked” realtors in our area, this is a much needed and welcome change.